Zebra Technologies Corporation (NASDAQ: ZBRA), a global leader in products and services that provide real-time visibility into organizations' assets, people and transactions, today released survey results finding that nearly all (97 percent) surveyed healthcare organizations agree that the Internet of Things (IoT) will be the most strategic technological initiative their organization will undertake this decade. 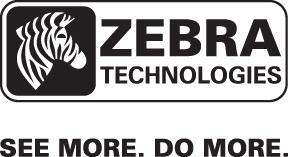 Zebra Technologies Corporation (NASDAQ: ZBRA), a global leader in products and services that provide real-time visibility into organizations' assets, people and transactions, today will ring the Opening Bell at The Nasdaq Stock Market in Times Square in New York City to help launch its new brand and logo following the acquisition of the Enterprise business from Motorola Solutions in October 2014. Stay informed with the latest Zebra Technologies Corporation news & information. We've brought a total of 11 Zebra Technologies Corporation press releases and event announcements to you so far this year. Keep track of today’s trending news, including: “LogiMAT 2015: Zebra Technologies Corporation portfolio“.